As promised, we are back with our official review of Pandora – The World of AVATAR at Walt Disney World. We will have a series of articles so make sure to keep checking the site for more! 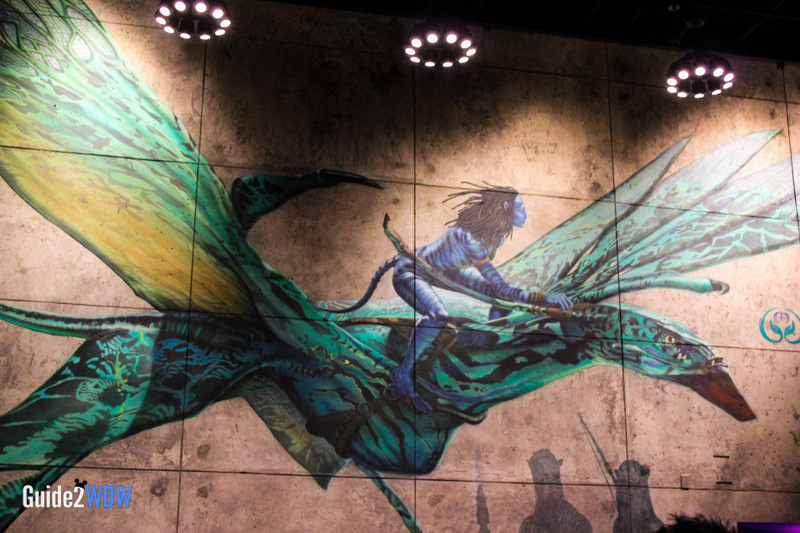 We’ll start off with the one thing I just can’t wait to share with all of our readers – a review of Avatar Flight of Passage, where you get to ride on the back of a banshee. Now, I know we have heard so much about this ride leading up to the opening of Pandora, but for all the hype that has been given to this ride, it still – quite simply – far exceeded my expectations. Better yet – it is literally the best ride I have ever ridden in all of Disney. Before I go on to the review of the ride, here’s a little spoiler warning: I will go into some details of the ride. I think there is something to be said for going into the ride not knowing much about it – because it will be that much more exciting when you experience it – but if you want to see if this ride is worth hours of wait times (and it will surely have that) then continue reading on! Let’s start with the queue first – because let’s face it, unless you have FP+, it will be a long wait. The good news is, I believe this is the best and most detailed ride queue Disney has ever made. There is so much to see and appreciate as you move through the line. When you first walk in, you go through a cave-like structure with lots of Na’vi themed decor. 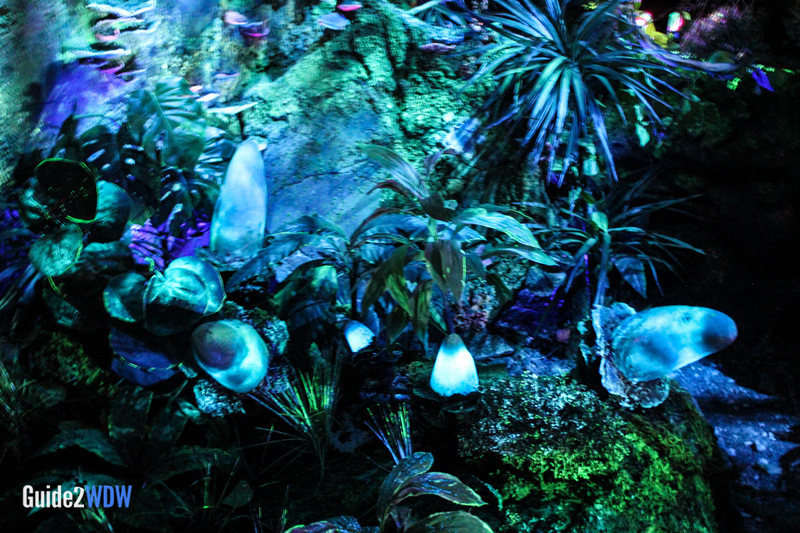 There are Na’vi artifacts and lush foliage (bioluminescent plants!) unique to Pandora. While you’re in that part of the line, make sure you spot some hidden Mickeys! As you move deeper into the queue, you find the foliage giving way to a research facility, where you can see experiments and notes of human researchers about the Na’vi and the creatures of Pandora. As much as you are probably awestruck by the foliage at this point, this is where the even more interesting part of the queue kicks in. You can read detailed notes of the researchers with interesting observations. 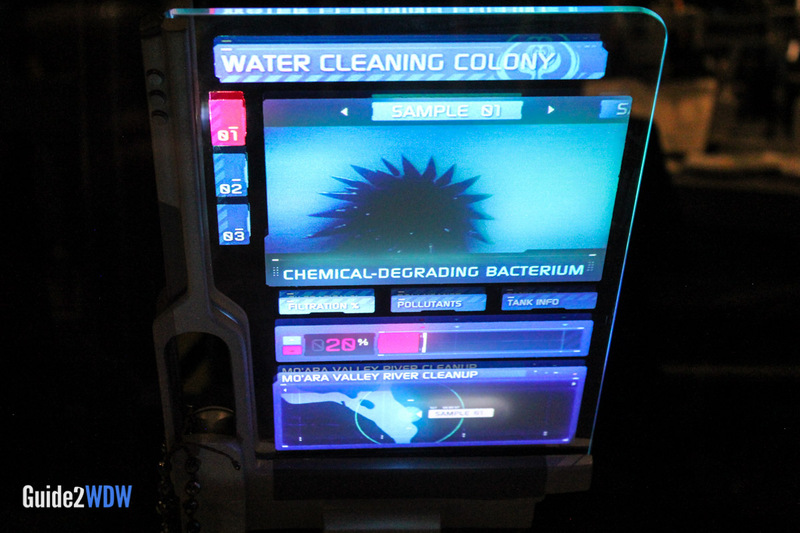 There was even an experiment of a creature that looked like a sea urchin and how it interacts with biological material in water. There’s an experiment where shaved metal filings move like it’s an organism. 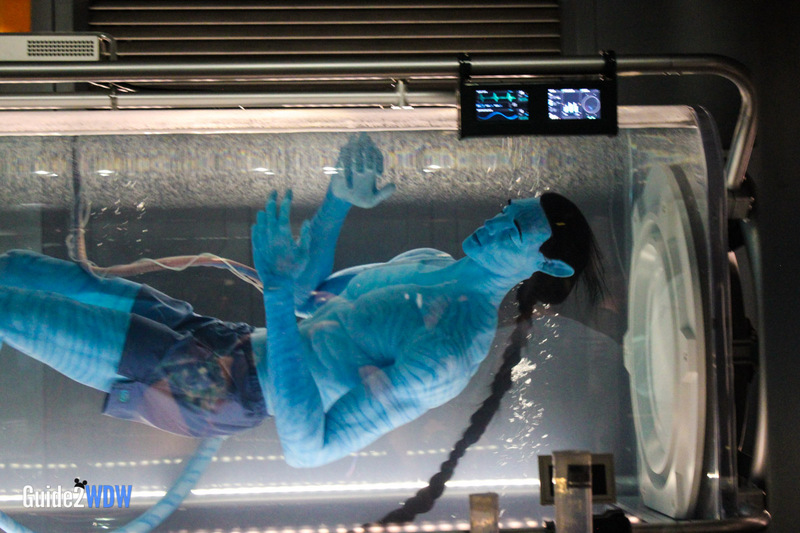 Then you see a full-sized Avatar, which is exactly like what you see in the movie. I can only imagine how long it took Disney imagineers to create this space because the details are second to none. This is probably the part that could use some tweaking from Disney. Some Disney rides have that introductory video to set the stage – think of that scientist who tells you to steal the dinosaur in Dinosaur, or Aerosmith giving you backstage passes before you go on Rockin’ Roller Coaster. Avatar Flight of Passage not only has one but TWO introductory videos, and some of the same information gets repeated in both. I feel like the videos also go on a little too long. Case in point – by the time we got to the second video, there was someone in our group who said “I know I know!” when a scientist explained what a banshee was for the second time. But if sitting through those videos is the requirement for going on the ride, I will still gladly sit through them. I meant what I said earlier: Avatar Flight of Passage is the best ride I have ever ridden at Disney, by far. Now, I still have my sentimental favorites – Haunted Mansion, I still love you – but this ride just took my breath away. First, the cast members ask you to sit on a seat in a way that is similar to when you are riding a bike. Then you press your chest against a padding in the front of the “bike”. This will allow the locking mechanism to then engage. Speaking of locking mechanism, this is unlike anything you will find at Disney. There is something that encloses your legs (thigh area) firmly and then there is also something that comes up on your lower back. It will definitely feel snug once you are secured. In front of you there is a big screen that is covered by a gray covering – think Star Tours before it opens to C-3PO. Then the gray wall comes down – and you are FLYING. In Soarin’ you are supposed to be hang gliding, so you feel like you are flying, right? This is somewhat like that too, but SO MUCH BETTER. One second you are soaring above mountain tops, and the next you are swooping down to the animals and to the Na’vi sacred grounds. It feels like you are moving so fast, which makes the ride absolutely thrilling. You can feel the mist on your face and you can smell your surroundings. And that thing that was secured against your legs? It flexes throughout the ride – so you feel like you are sitting on top of a breathing banshee. The scenery is simply spectacular. The animals that you see in the movie are there, along with the gorgeous mountains of Pandora. It’s just amazing how the entire ride comes together. Whenever I go to Disney, there’s no way I will miss out on this experience. So there you have it, dear Guide2WDW readers – our review of Avatar Flight of Passage. Are you looking forward to experiencing this one-of-a-kind ride? If you haven’t booked your Disney trip yet, call me at (920) 526-0809 or email me at myra@worldofmagictravel.com to get a free quote!